Chunks of chicken deep fried & vegetables with special spicy sauce. Chunks of chicken sauteed in special brown sauce w. sesame seeds on top & broccoli on side. Chunks of beef sauteed in special brown sauce w. sesame seeds on top & broccoli on side. Tender fillet or marinated beef sauteed & seasoned w. imported orange peels. Tender fillet or marinated chicken sauteed & seasoned w. imported orange peels. Chicken chunks w. tingling hot sauce. Pork, beef, jumbo shrimp, scallop & different kinds of vegetables. Sliced beef, chicken & jumbo shrimp sauteed w. Chinese vegetables. in brown sauce. Jumbo shrimp & fresh scallops deep fried w. Hunan spicy sauce on the top circled w. steamed broccoli. Lobster, chicken, roast pork, scallop & Chinese vegs. served w. seven jumbo shrimp. Crabmeat, shrimp, chicken, roast pork lobster & beef w. mixed vegetables. in house special sauce. Chicken & shrimp w. mixed vegetables. baby corn & waterchestnuts in house sauce. White meat chicken lightly fried and sauteed in a special coconut sauce w. lettuce & walnut on the top. Jumbo shrimp lightly fried and sauteed in a special coconut sauce w. lettuce & walnut on the top. Two dishes in One: one side chicken chunks w. Ting Ling hot sauce & other side jumbo shrimp w. Chinese vegetable in white sauce. Bite size morsels of lean chicken, served w. snow peas, red peppers, water chestnuts, mushrooms & baby corn in a savory amazing sauce. Spicy Lamb on one side and lamb w. scallions on the other "Lamb Mild: Lamb spicy, Try it you'll like it!" Lobster chunks, jumbo shrimp & scallops w. vegetables in our white sauce. 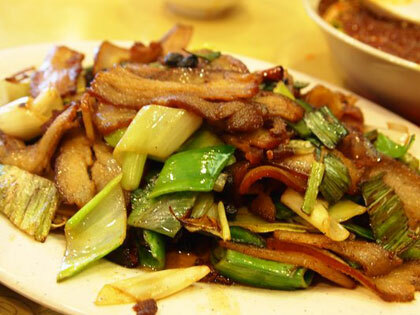 Tender lamb slices sauteed with fresh vegetables & straw mushrooms in our chef's spicy sauce. Best selected young duck w. crispy skin, served w. pancakes & plum sauce, served in the original way. (Wonton, Egg Drop or Hot & Sour) or Egg Roll. White Meat Chicken w. Mixed Vegetables. (Wonton, Egg Drop or Hot & Sour) or Egg Roll or Soda. Lunch Special Not Served on Sunday's & Holidays.